Raising Bilingual Children: Who Should Speak What? In addition to the obvious linguistic and cultural benefits of being multilingual, research shows that there are both cognitive and social benefits as well. Just the other day, I was on the subway in New York City when a family of three sat in the seats across from me. 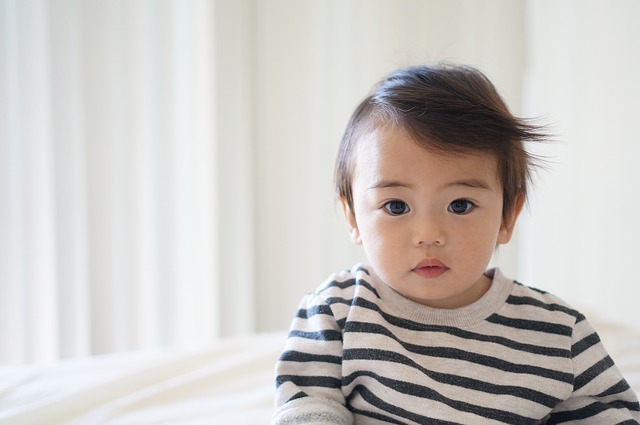 The mother was Japanese and spoke to her two children, who looked distinctly Eurasian, in Japanese. Asking about their day at school, the children replied in English, French and a little bit of Japanese, seamlessly switching between languages as if they were all one and the same. With more than half of the world able to speak two or more languages, multilingualism is slowly becoming a priority in the United States, with an estimated 20% reportedly bilingual in 2012. In addition to the obvious linguistic and cultural benefits of being multilingual, research shows that there are both cognitive and social benefits as well. To raise bilingual children, parents are recognizing that they need to start early -- well before kids set foot in school. Wanting to immerse their children at home during those critical years of language development, parents are starting to ask: should one parent speak one language, while the other speaks another? What should children speak at home in light of the languages that will be taught in school, spoken among peers, seen on TV and heard in the community? This article addresses these questions by highlighting six research-based models that effectively cultivate multilingual speakers at home. A Spanish-speaking mother and an English-speaking father in the United States. In this model, it is important for one of the parents' native languages to reflect the language spoken in the community, so that it can be reinforced in the child. Korean-speaking parents in an English-speaking area of the United States. Because Korean is used at home, the child needs early exposure to English outside the home (e.g. in nursery school, in the neighborhood, with extended family). Cantonese-speaking parents in a Chinese community in the United States. This model is most common among immigrant families. The child will require support as they learn English in school. A Brazilian mother (Portuguese-speaking) and Haitian father (Haitian Creole-speaking) living in a migrant neighborhood in the United States where Portuguese and Haitian Creole are used. The child will require support as they learn English in school. Both parents speak English and the mother uses her second language, Tagalog, with the child in the United States. The child will benefit from early Tagalog support from outside the home (e.g. in a Tagalog-speaking nursery, with extended family, in community-based programs). Both parents speak English and Hindi and reside in a community where Hindi and English are used interchangeably in the United States. A child's peer group is very important. If they have similar linguistic practices and weave languages together when they speak to each other, the likelihood of raising multilingual children is much higher. These six models provide children with platforms that promote multilingual development. They also have varying longitudinal effects that depend on the language(s) spoken in the community. In models 1, 2 and 5, for example, there can be changes in proficiency over time. Although children grow up exposed to two or more languages, as they grow older and spend less time at home, the languages in society play a stronger role and may diminish a child's second language ability. In models 3, 4 and 6, however, where multilingualism is a characteristic of the environment outside the home, the child will have more opportunities to use their languages outside the home. Raising bilingual children requires a lot of intentional planning and can be a lot of work. It requires parents to persevere in a particular language when using another language might be easier. It also requires additional linguistic support as children navigate the two languages at school and at home. To persist, keep the long-term benefits of multilingualism in sight, create multilingual norms and routines around the home, celebrate bilingual milestones with your children, and find families who raise children in a similar way. Though raising children is often a thankless job, bilingualism is a gift that they will undoubtedly thank you for one day. Have you tried using any of these models? How has your experience been? Please take a moment to share in the comments section below.